So whats the case regarding? I didnt get it....If he started and was the pioneer then how can his previous company sue him? So were these patents held by the company and not by him? How could he have overlooked intellectual property? Akil: "So were these patents held by the company and not by him? How could he have overlooked intellectual property?" I believe the patents for Invisalign belong to Align Technology, not to Zia Chishtie. The investors insist on transfer of patents to any company before funding it. When did he leave Align and why? Mayraj: "When did he leave Align and why?" Zia Chishti started Align in 1997. He resigned as the Chief Executive Officer of Align in March 2002 and as a director of Align in March 2003. He is a serial entrepreneur who becomes restless when a company has gotten off the ground to look for thrills of new start-ups. On Saturday July 23, 2005 Rising Leaders hosted a networking event with a presentation from Zia Chishti at the Embassy of Pakistan. The event was attended by a group of young Americans interning in DC this summer. Mr. Chishti, a successful businessman, gave a speech about his experience as a Pakistani-American in the business world; he also discussed the important tips and tricks of networking. Rising Leaders, a group aimed at empowering young Pakistani-Americans to be active in fields that are non-traditional for the Pakistan community, hosted the event. The event was focused on bringing young interns in DC together to network. A mixer/reception gave interns the opportunity to mingle and network with each other. The guest speaker, Zia Chishti, is an accomplished Pakistani-American businessman. Although Zia Chishti was born in Bar Harbour, Maine, he spent most of his young life in Pakistan and returned to US for University. He graduated from Columbia University in 1992 and then received his MBA from Stanford University. In 1997, he co-founded Align Technology, a company that produced clear plastic removable orthodontic “aligners.” Soon after he left Align Technology, he became the CEO and chairman of The Resource Group (TRG). When Mr. Chishti was director of Align technologies around 700 Pakistanis were employed and stationed in Lahore, Pakistan. 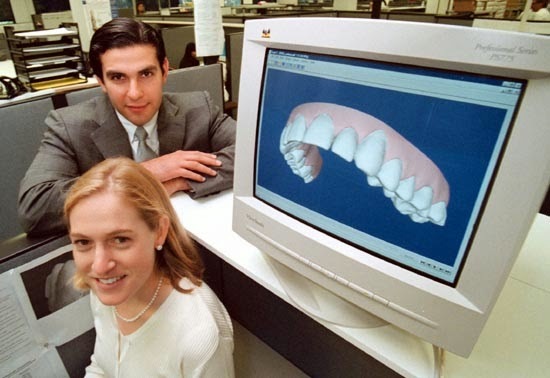 They were responsible for the 3D computer graphics responsible for the design of the orthodontic aligners, as well as providing valuable customer service to US clientele. Align technologies was Pakistan’s largest Business Processing Outsourcing (BPO). After leaving Align Technologies, Mr. Chishti created The Resource Group (TRG), which is now Pakistan’s largest BPO, employing around 1700 Pakistanis. Globally TRP employs over 5000 people. Mr. Chishti believes that there are many skilled people in Pakistan, who, because of labor market abuse, have not been given the chance to work at their potential. His companies have helped to motivate many Pakistanis and increase activity in Pakistan’s labor markets. In his speech Mr. Chishti explained the certain attitudes one should have when one wants a job. Since the majority of the attendants were Pakistani-Americans, Mr. Chishti focused on using a Pakistani background to one’s advantage. He stated that if an employer has certain misconceptions about Pakistan, one should explain to him the truth about Pakistan, and use positive points about Pakistan to change his perception. Mr. Chishti also stated that sincerity and candidness go a long way in an interview. A key point Mr. Chishti stressed is that in order for one to be successful, one must have “something to bring to the table.” Importantly, it is a give and take relationship between the prospective employee and the potential employer. After Mr. Chishti finished his presentation he answered several questions from the audience. During the question and answer session the audience asked about Mr. Chishti’s personal experience in Pakistan and his view on work ethics in Pakistan. The event finished with a post-speech mixer. The Global Innovation Index 2014 has put India's rank at 76. BD at 129, Pakiland at 134 just above Nepal at 136. In 2008, Pakistan had 52.70 mobile subscribers/100 people against India's 29.53. By 2013, India's mobile subcribers stood at 70.78 against Pak's 70.13. In 2008, Pak had 7.0 Internet user/100 people against India's 4.38. By 2013, India with 15.10 had outstripped Pak's 10.90. Majumdar: "The Global Innovation Index 2014 has put India's rank at 76. BD at 129, Pakiland at 134 just above Nepal at 136"
An index that ranks the US, the source of all major breakthroughs in recent history and the home of Silicon Valley, in sixth place below 5 European nations including UK can not be credible. BTW, it also ranks Bahrain and Oman above India and Qatar above Russia. Does that make sense to you? Majumdar: "In 2008, Pakistan had 52.70 mobile subscribers/100 people against India's 29.53. By 2013, India's mobile subcribers stood at 70.78 against Pak's 70.13"
Your data for Pakistan is inaccurate. Mobile subscribers made up 73.6% of Pakistan pop at the end of 2013. As of May the figure has increased to 76.2%, according to Pakistan Telecom Authority. For comparability you have to use the same source. My source is the International Telecom Union Data page, you can check out yourself. Majumdar: "For comparability you have to use the same source. My source is the International Telecom Union Data page, you can check out yourself." And where does ITU get its data from? Does it send its staff to do the counting in each country? Or rely on the telecom regulators of each country?